Other cosmetic sets seem to have been revealed. 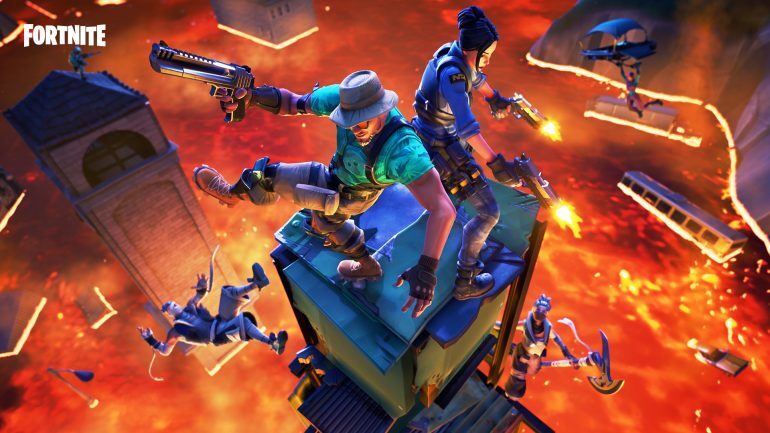 Today’s v8.20 update of Fortnite: Battle Royale added and modified several files to the game. While regular players can only guess what’s hidden inside them, dataminers have found what’s new and revealed a host of cosmetic items that could be coming to the game anytime soon. Although these have yet to be confirmed by Epic Games, it’s very likely that players will see them in-game anytime this week. Prominent leaker Lucas7Yoshi revealed a full list of the new outfits, gliders, back blings, and emotes coming sometime this week to the Fortnite Item Shop. The most noticeable leak is what players believe to be the Lava Legends cosmetics pack. It features five Legendary cosmetic items, two of them the outfits Molten Battle Hound and Molten Valkyrie, two back bling Molten Valkyrie Wings and Molten Crested Cape, and one glider Lavawing. It’s unclear at this time how Epic will sell this set in the game. Pirates could also be part of a new set. The two outfits Buccaneer and Sea Wolf match perfectly with the pirate theme of the High Seas pickaxe and the of the Barrel & Booty back bling. There are other cosmetics that match but could be part of a smaller set, such as cactus-themed Prickly Patroller outfit and Prickly Axe pickaxe. Other emotes and back blings seem to fit sets that are not part of this leak, like the Cuddle Doll back bling and the Cuddly Cruiser glider. Players have to wait until Epic releases these items in Fortnite to check out how they look and their real cost in V-Bucks.